Island Gymnastics sent Xcel Silver and Xcel Gold gymnasts to the Massachusetts State Championships at Shriners Auditorium in Wilmington on Saturday, May 6. In the Xcel Silver Child A session, Emily Boyd got fifth on beam (9.25), and Amy Maeda scored 8.85 on beam. In the Child C session, Sara Goodale placed fifth on beam (9.45). In the Xcel Gold Child A session, Molly Crawford finished first on floor, posting the highest floor score of the session (9.625), and was the floor champion. She also placed third on vault (9.2), sixth on beam (8.75), and received an all-around trophy for fifth (36.475). Arianna Edelman finished first on beam (9.425) and was beam champion, and sixth on vault and bars (8.95 and 9.2, respectively). She also received an all-around trophy for fourth (36.575). 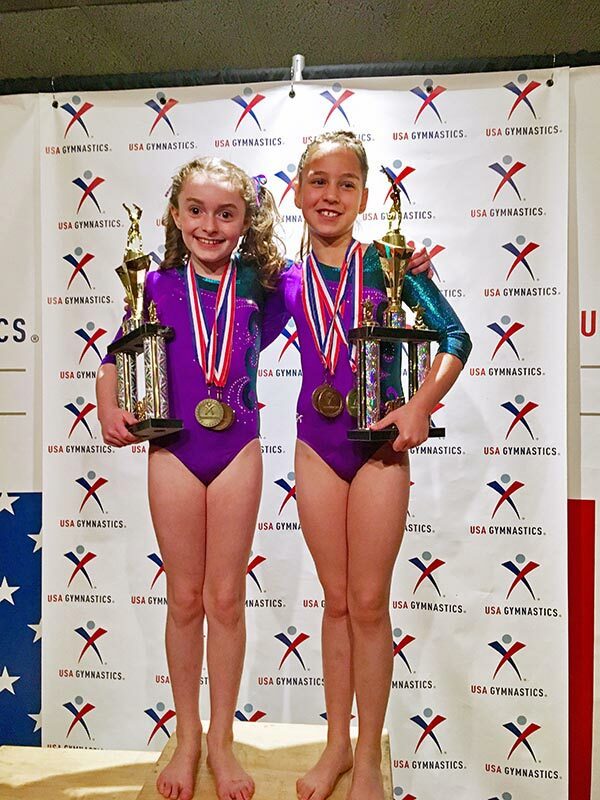 Molly and Arianna, both 9 years old, are the youngest Xcel Gold gymnasts to compete in the state, out of gymnasts ages 9-17. The Island Gymnastics athletes were coached by Beth Goodell.